Rent Conceptual Physical Science online here today and find out why it is possible to get it at an affordable and discounted price. Written by Paul G Hewitt, John A Suchocki and Leslie A Hewitt, this text book is now in its 5th revised edition and was published in 2011 by Addison-Wesley Educational Publishers. Cheap Conceptual Physical Science copies are available from us to enable you to learn about this aspect of science and provide you with an insight into where you can get the cheapest text books for college as well. For affordable and previously owned books, come to us today for the best bargains. 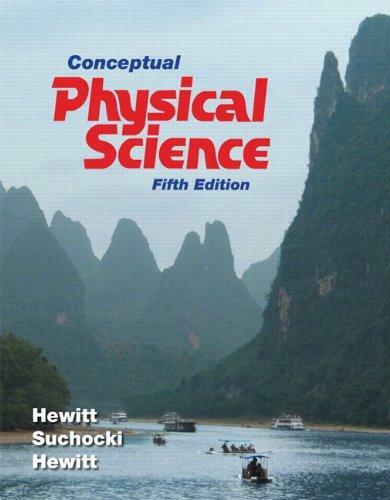 Leslie A. Hewitt is the author of 'Conceptual Physical Science (5th Edition)', published 2011 under ISBN 9780321753342 and ISBN 0321753348. Loading marketplace prices 54 copies from $6.33 How does the rental process work?